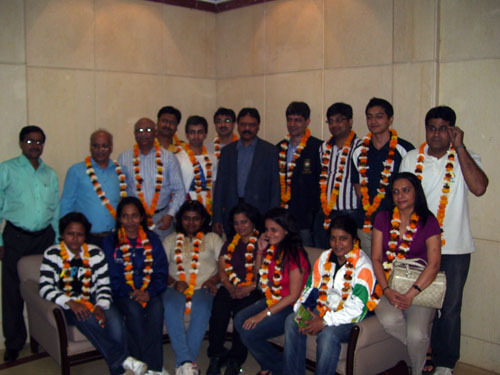 Team India for Cue Sports gathered today at NSCI, New Delhi before leaving for Guangzhou tonight. 17 Participants (including men and women) will take part in 10 disciplines for medal hunt. The cuesports event will start from 13th November and English Billiards will be the first event to start in cue-sports.